Is it safe for to play or should the athlete sit out? Should the athlete use heat or ice? When is it safe for the athlete to return to participation? Choosing the wrong answer to any of these questions could complicate an injury leading to unnecessary loss of playing time. 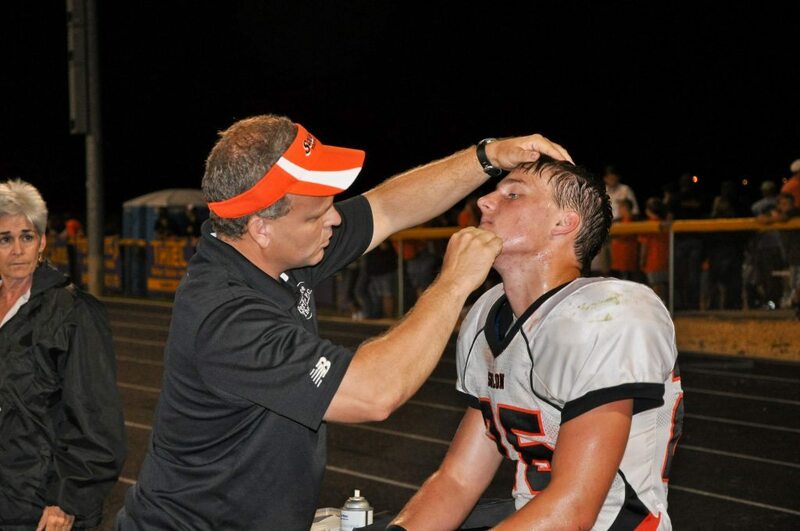 Having an athletic trainer from Performance Therapies on your sideline gives coaches, athletes and parents the peace of mind to know that injuries will be handled by a trained medical professional. We are qualified to address anything from a scraped knee to a serious head injury. We care for your athlete from the time of injury through the healing process and return to participation. We are committed to keeping coaches and parents informed of the athlete’s status on a regular basis. Have the peace of mind knowing your athletes’ injuries will be handled by a trained medical professional. Qualified Personnel – All of our Athletic Trainers are certified and licensed. Some are also licensed physical therapists and strength and conditioning specialists. Personalized services – You choose the sports you want coverage for. We will work with you to customize your contract to meet your needs. We can cover as many or as few events as you choose. Coach’s Clinics – We can present in-services to your coaching staff on common sports injuries and review of taping techniques. We are approved by the State of Iowa to provide continuing education hours towards coaching certificates. Free Athlete Screens – At any time of the year your athletes can call any of our clinics and schedule a free injury screen. A member of our staff will evaluate and provide recommendations on the injury. What’s the difference between a free screen and a physical therapy evaluation? A free screen is performed by an athletic trainer or physical therapist at your location or at one of our clinics. The screen consists of a thorough evaluation of the injury as well as our recommendation for treatment. Recommendations may include stretches or exercises you can perform on your own, referral to a medical doctor or referral to physical therapy. A physical therapy evaluation is performed by a physical therapist at one of our clinics. The evaluation consists of a thorough evaluation of the injury as well as treatment and recommendations for a home exercise program. You or your health insurance company will be billed for the visit.